Great post, Colin. I particularly liked the ideas about partnerships with local universities, discounted ZeroG/NanoRacks/sRLV flights, and the TV show. You might be able to do a non-reimbursable SAA deal with the Flight Opportunities office at NASA to get them to chip in a certain number of ZeroG/sRLV flights to the accelerator per year. Buying full ZeroG or sRLV flights might be really expensive for the accelerator otherwise. CASIS might be able to do a similar deal with funding the NanoRacks opptys? Especially if CASIS can resolve the IP issues like they've been talking about. 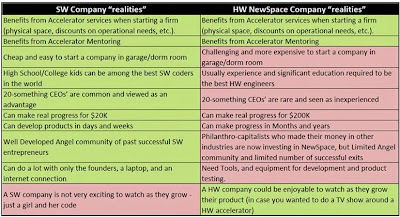 I think getting a larger number of 2nd-time entrepreneurs in NewSpace is going to be key, and an accelerator that gets a lot of companies focused on nearer-term "base hits" would be awesome. One other idea--even if the incubator is say located in Boulder, you could partner with University Tech Transfer offices throughout the country to provide tech transfer opptys for startups in the accelerator. I'm sure Georgia Tech, Stanford, MIT, and other heavy hitters would love to have a partnership like that arranged. 7. ITAR Lawyer services FREE. ITAR is far from the only regulation you can run afoul of in the US. For example, there are ATF, EPA, and OSHA regulations on transporting and storing small amounts of explosives and certain types of rocket and satellite propellant, FAA regulations on drone aircraft and rocket launches, and FCC regulations on allowed frequencies for radio use. Also, I think contracting with US government agencies (such as NASA and the DOD) has its own special perils. They can demand things that considerably increase the cost of a contract which could be fatal for a start up that isn't prepared. Finally, one can run into interference from big players. For example, SpaceX has had some of its early Falcon I launches delayed by scheduling games played by other aerospace businesses sharing the same government launch pad locations. Some space activities may require insurance of various sorts. The incubator program may even be able to match start ups with affordable and willing insurers. I think merely being aware of when these issues can be problems for the start up and general strategies for dealing with them would help ease the way through many potential mine fields. 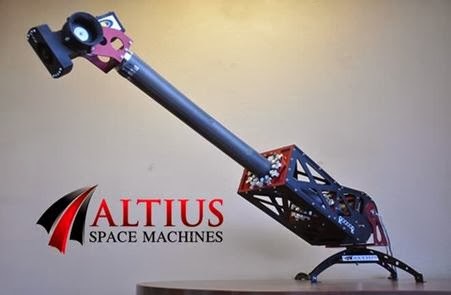 I would go as far as to say the relatively tough regulatory and government-contract dominated environment of anything deployed in space, which is much different from software development, should be another row in your table of differences.